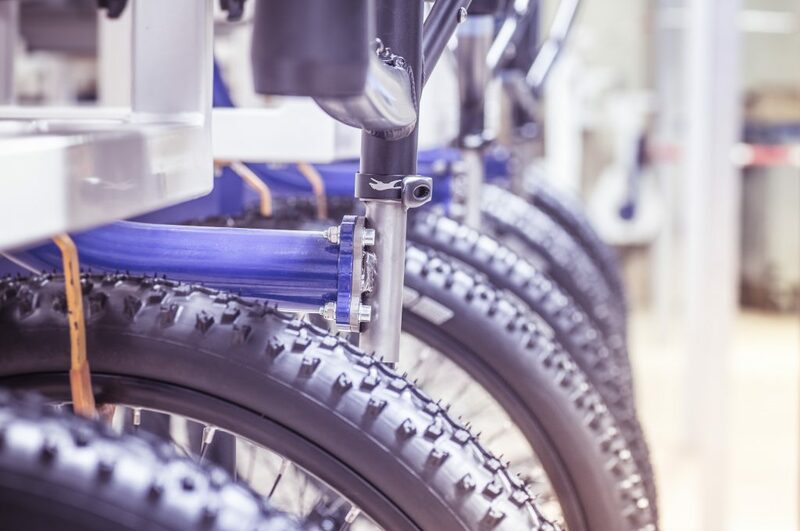 In our own production hall in Sangerhausen, we assemble bicycles and e-bikes on behalf of well-known providers and international partners. In addition, we work on behalf of various retailers, which we supply with our own brands. Customer satisfaction and quality are our top priority with each order. 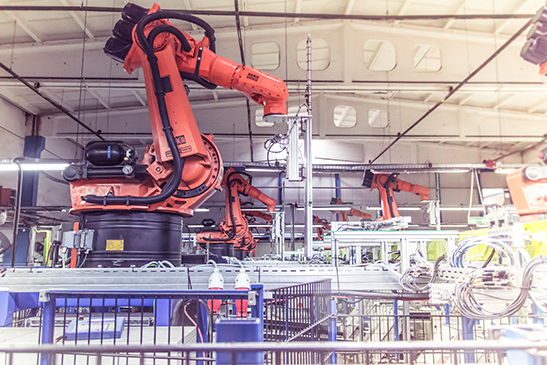 Our production currently works on three assembly lines. 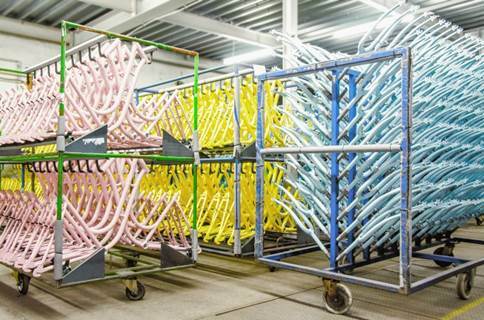 1,000 bikes per shift are assembled by our employees and prepared for shipment. Modern and torque-controlled tools are used to support our quality consciousness and mounting on schedule. For small series, it is possible to run a test for each single bike at our own test bench. We are able to grant high flexibility by order-related commissioning directly to each individual workplace at the assembly line. We consider ourselves as a full-service provider, from entry level to high-end bikes: from consulting to conception and design, painting and powder-coating, prototyping, testing & certification up to the finished product, logistics and of course after-sales service. Due to our internal workplace structuring, our organization as well as our high production capacities, we offer assembly of both large scale production and small series. Our in-house paintwork department offers decoration and painting both for custom-made and large series. Our employees and machines can produce in our premises up to 2,000 frames per day. We use only eco-friendly water-based paints. As the coating is always connected to individual customer requirements, we provide the entire RAL Classic colour range for powder coating and are able to apply effects such as matting, structure or metallic looks. In addition, we offer decors optionally as top or bottom coat as well as water transfer in all variations. Our employees work on six lines in our wheel production department, each consisting of a lacing machine and a wheel centring robot and four hub filling machines. The self-developed test bench for the measurement of radial and lateral impact with an electronic spoke tension measuring device supports the quality assurance. In addition, random checks are already conducted during the entire production including corresponding written documentation. By using this technique and our know-how we are capable to manufacture all kinds of wheels from 20 to 29 inches, even those with hub motor. 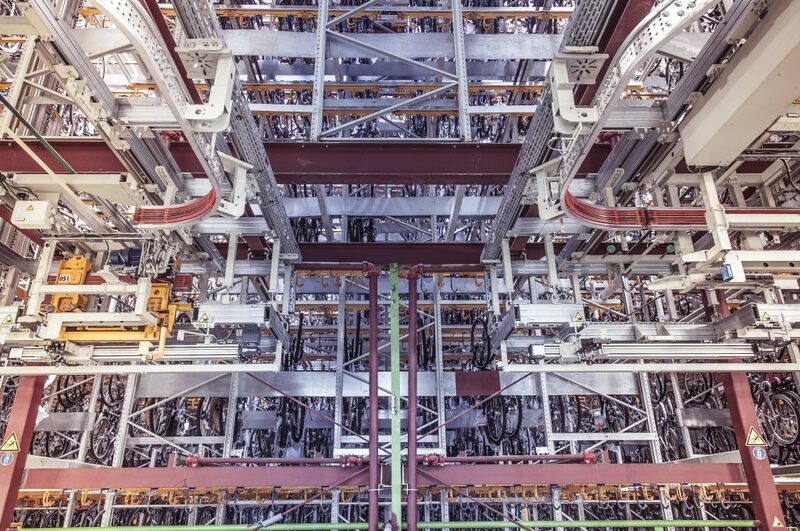 We can thus produce up to 1,000 wheel sets per shift, meaning 2,000 wheels. Our own high-rack warehouse consists of seven rows of shelves with a total of six shelves each. The entire capacity of the fully automated warehouse is 36,000 slots, allowing a direct drop shipping system to the customer. The in- and outbound is more than 1,000 bicycles per day.